Whether you have a small farm or a working farm with several hundred acres, it is essential to have a farmowners insurance policy. Due to the complexity of a farm and the unique coverages needed, a farmowners policy is specialized to your needs. A farm also requires a special policy because of having both commercial and personal liability risks. 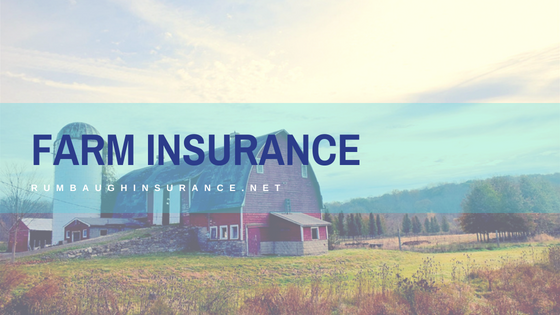 A farmowners policy will vary with each insurance company, and many of them will have different policy enhancements that will fit your specific situation. Some basic coverages will be included in all farmowners policies. Property – Of course you will want to cover your home and any outbuildings such as barns, silos, and machinery storage buildings. In addition to the structures, coverage will be provided for the contents inside the buildings. Keep in mind that machinery and tools will probably be insured separately. Liability – A farmowners policy will provide personal liability for you and your family. If you are running an agribusiness that sells produce or has any seasonal festivities, we will want to make sure you have commercial liability coverage as well. Any time there is a business income produced by your farm, it is necessary to have this coverage. Equipment – The value of machinery and tools can be high, so a farmowners policy will have a separate coverage for these items. We can cover them two ways: scheduled and blanket. Scheduled means we would list each piece of equipment and a value to insure it for. Blanket is one amount to cover all of your equipment. This can be helpful if you are buying and selling equipment often. Pollution – An additional liability coverage often included in a farmowners policy is pollution coverage. Because you may be spraying pesticides or hauling manure and other things, this coverage is important. From a three-acre farm with a couple chickens to a 200-acre farm that has a pumpkin patch each fall, our experienced insurance team can help you get the protection you need for your farm. Contact us today so we can analyze your needs and present a specialized package tailored just for you.